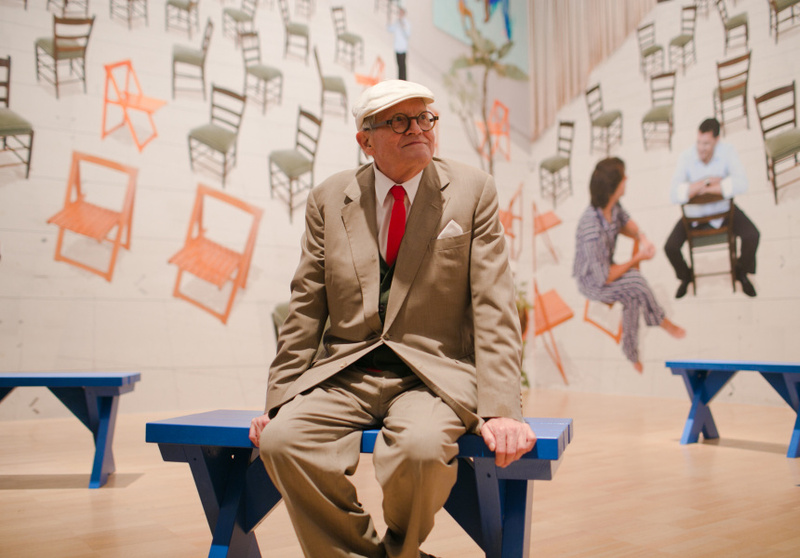 A major solo exhibition of one of the most influential living artists, David Hockney: Current. The exhibition, curated by the NGV in collaboration with David Hockney and his studio, features over 1200 works from the past decade of the artist’s career including paintings, digital drawings, photography and video works. Including more than 600 extraordinary and sometimes animated iPad digital drawings of still life compositions, self-portraits and large-scale landscapes including scenes of Yosemite National Park. Another highlight is The Four Seasons, Woldgate Woods, a breath-taking and immersive video work showcasing the changing landscape of Hockney’s native Yorkshire, each season comprised of nine high-definition screens. A dedicated 60-metre long gallery lined with more than 80 recently painted acrylic portrait paintings of the artist’s family, friends and notable subjects including artists John Baldessari and Barry Humphries is also a major highlight. 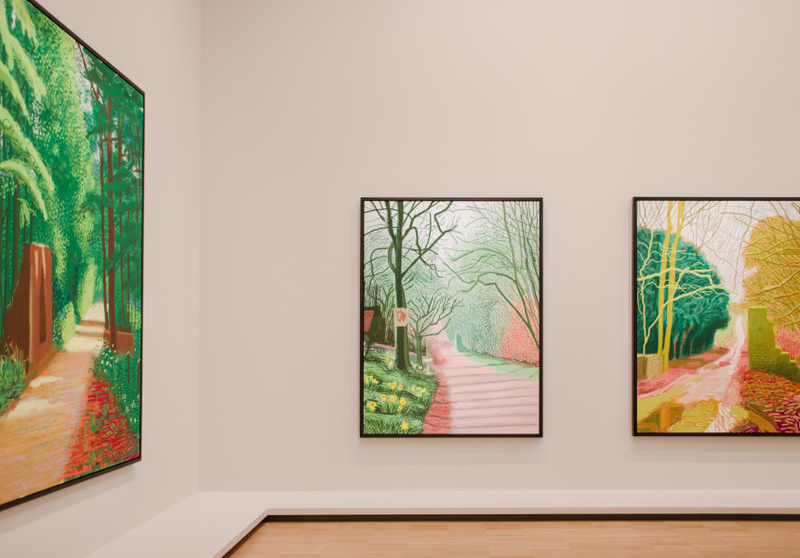 The exhibition includes Bigger Trees Near Warter, Hockney’s largest painting comprised of fifty oil on canvas panels. Transforming the gallery, the three remaining walls of this space display 1:1 digital versions of the same work. 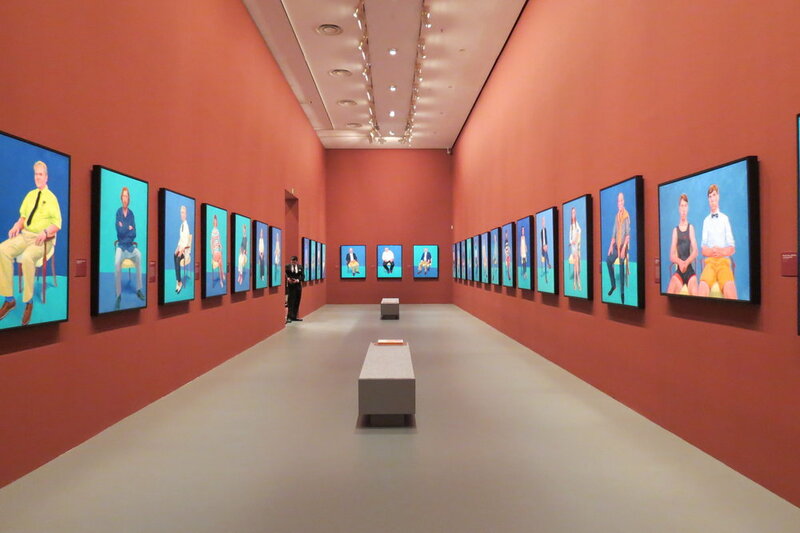 Hockney’s continued investigation into multi-point perspective is represented by The Jugglers, an 18-screen. Again utilising technology to reveal a study in perspective, Hockney’s Seven Yorkshire Landscapes is a 12 minute multi-viewpoint video displayed on 18 tiled, 55-inch monitors which monumentally showcases the extraordinary landscape.